Create an air of elegance and glamour with a hint of the art deco with this set of cocktail trays. 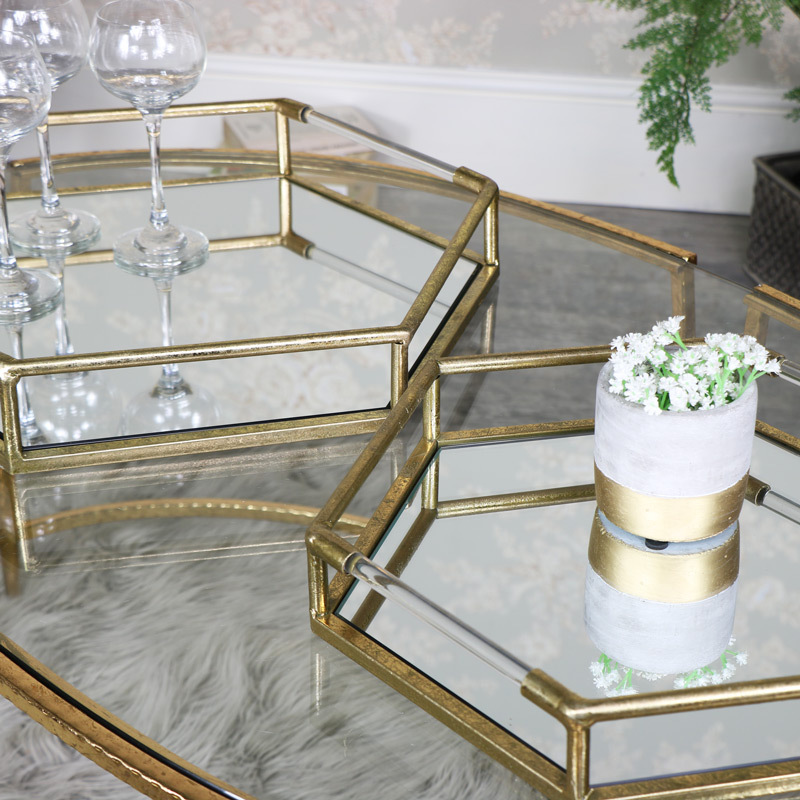 Hexagon shaped with mirrored base in an antique gold finish. These are simply fabulous for serving guests their drinks in extravagent style or used as ornate display trays. Charming and beautiful in design these trays would look stunning with candles or ornaments creating a pretty effect on the reflective mirrored surface, Both trays come are very sturdy and can easily be carried from room to room. The smaller tray nestles comfortably inside the larger tray. Create an air of elegance and glamour with a hint of the art deco with this set of cocktail trays. 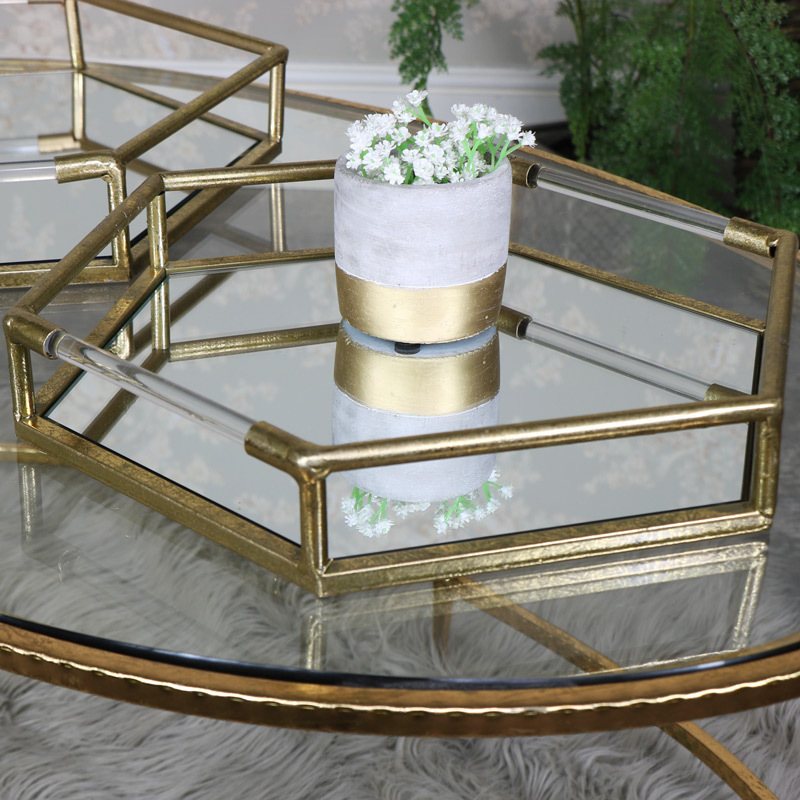 Hexagon shaped with mirrored base in an antique gold finish. Both trays come are very sturdy and can easily be carried from room to room. The smaller tray nestles comfortably inside the larger tray. 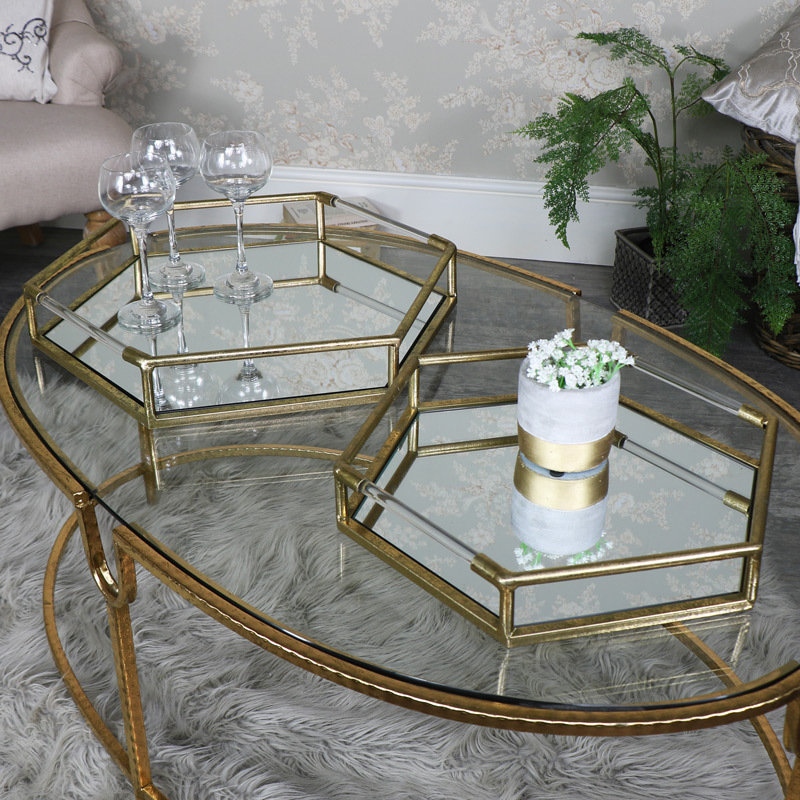 Made from metal in an antique gold finish, bars srround the edges with 2 glass effect bars to create a elegant look.